Weapon Stats & Strategy for Cupid's Crossbow in Fortnite. Read here to find information about the damage(DPS), rarity, and reviews for Cupid's Crossbow! 79 1 5 47.4 2.5sec. 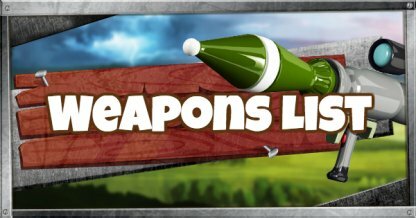 Check out the All Sniper Rifle stats List! Hit them right where it hurts with the Cupid's Crossbow. With its silenced shots, you can quickly take down enemies before they even know what hit them. 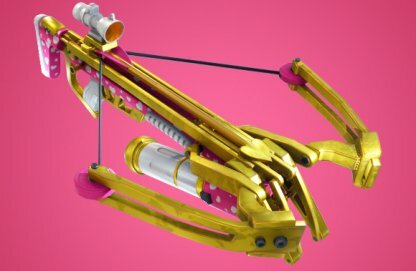 Just as any other Crossbow introduced in Fortnite, Cupid's Crossbow works best in mid-range engagements. It does decently enough in other ranges, but not quite as well as in mid-range. Cupid's Crossbow comes with unlimited ammo. No need to rummage around to find crossbow bolts because it will never run out! The Cupid's Crossbow is a completly silenced weapon. It doesn't create noise whether in firing or reloading. 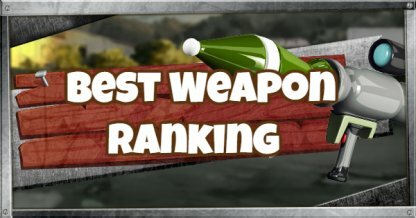 The weapon doesn't really have a magazine so it has to reload after every shot. It compensates for that by reloading quicker than most one-shot reload weapons. Aim for headshots with Cupid's Crossbow to do as much damage as you can upon starting fights. With the amount of health the enemy has left, it will be easier for you to finish them off with body shots. Since Cupid's Crossbow has to reload after every shot, you'll need to make sure to survive as you do so. Jump around, crouch, and move back and forth to become a harder target to hit.